Although it’s best to avoid products with an unnecessary amount of ingredients, some are worse than others, and it is important to know which chemicals and preservatives are the most unsafe to consume. Foods that most commonly contain preservatives include potato chips, snack foods, cereals, baked goods, and lunch meat, says Tami Lyon, RD, MPH. They’re added to prevent spoilage of food and often to retain the product’s color, but these chemicals can come with a range of detrimental side effects. An easy way to avoid these additives is to stick to fresh and whole foods and stay away from packaged processed foods. In some cases, eating the freshest foods just isn’t possible, so we’ve come up with a list of the six worst preservatives you should be looking out for on your ingredient labels. “BHA is a synthetic antioxidant used to inhibit oxidation of fats and oils in food, thereby preventing rancidity,” says Lyon. By keeping your food from going bad, BHA may be in turn putting your body at risk. Some studies have shown that BHA causes cancer in animals and that it may be anticipated to be a human carcinogen. Try to avoid BHA and look for foods that use vitamin E as an antioxidant instead. Like BHA, BHT is also used to prevent oils in food from going bad. It is commonly found in many cereals to preserve freshness. BHT has been found to increase hyperactivity in children, and laboratory results found that it increase the risk of cancer in animals as well. Like BHA, BHT should be avoided whenever possible. Nitrites and Nitrates are commonly found in foods such as hot dogs, lunch meats, and bacon because they help the meat retain its color and prevent bacteria formation. They can lead to the formation of cancer-causing chemicals, so it is best to avoid any packaged foods that contain these preservatives. Commonly found in bread and baked goods, potassium bromate is used to strengthen dough and lower baking time, but it has been found to cause kidney and nervous system disorders, cancer, and gastrointestinal issues. Hydrogenated fat, also known as trans fat, is created by converting liquid vegetable oils into solid fat through a hydrogenation process. These oils raise your bad cholesterol and lower your good cholesterol, they interfere with your body’s ability to fight cancer, and increase your risk of heart disease. 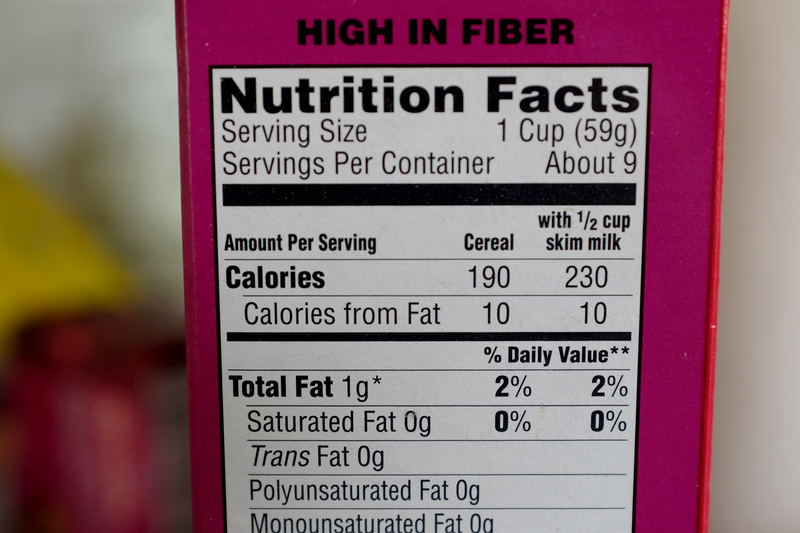 These synthetic fats are found in many snack foods and desserts. TBHQ is added to help preserve storage life, especially in animal fats. Also used in other products such as cosmetics, TBHQ can cause nausea and possibly increase your risk of cancer,. Although it may be tolerable in low doses, try not to eat too many foods that contain this ingredient to prevent possible side effects.